Frame: Patented Frameless Technology; Medium fit size; Triple Density Face Foam: Perfect fit with hypo-allergenic moisture-wicking micro fleece for extra comfort; Armoured venting makes clearing snow packed vents quick and easy; Improved attachment points ensure a secure fit, ready for whatever the elements provide; Swiftlock QuickChange Lens System: easy on-and-off mechanism uses a pair of locking, small levers integrated into frame; The levers can be flipped up to release lens and the new lens easily popped in and locked down; Lens: Optically correct 6 base injected Cylindrical lens; Super anti-fog coating and scratch resistant coating; 100% UV protection; VLT: 64%; Best suited for low light and cloudy conditions; Strap: Honey comb silicone strap backing; The silicone strap offers a more integrated feel, secure fit and ease of use; Helmet Compatible: Yes; With their frameless design and oversized spherical mirrored lens, the NFX goggles are ready for you to charge the mountain. Wake up expecting a bluebird but got a whiteout instead? Focus on your shredding, not faffing with lenses thanks to the easily-swappable lens system. The Pink Ionized lens enhances definition and reduces any glare - perfect for low light and cloudy conditions. 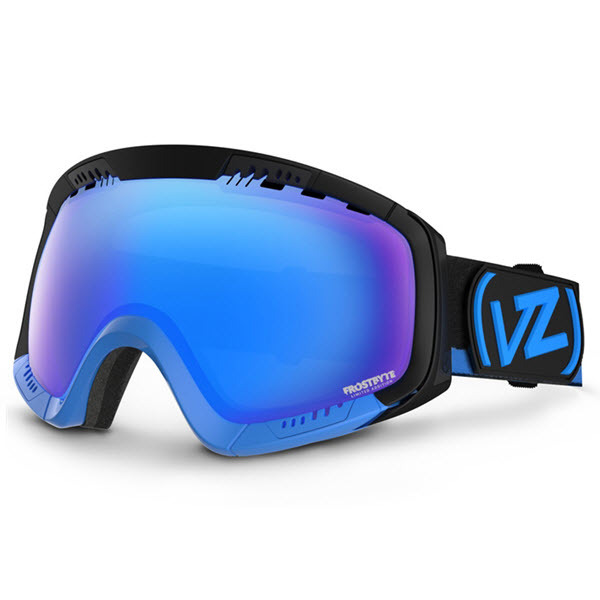 ; ; Spare Lens: Includes a spare Yellow Red Ionized lens - (VLT: 60%) :: Men > Goggles Size: one size.